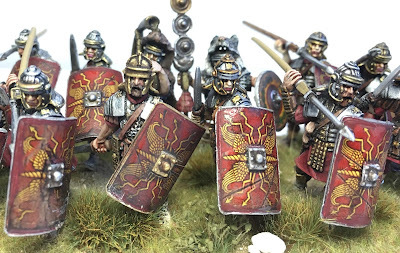 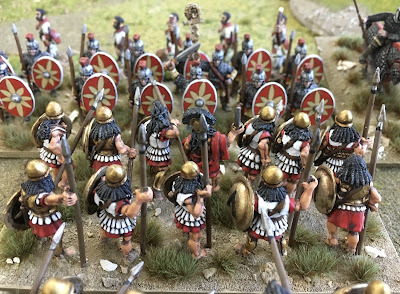 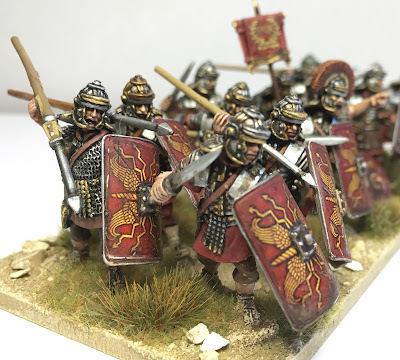 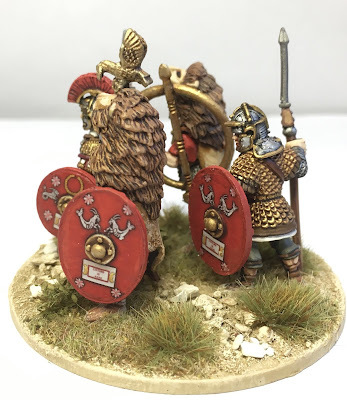 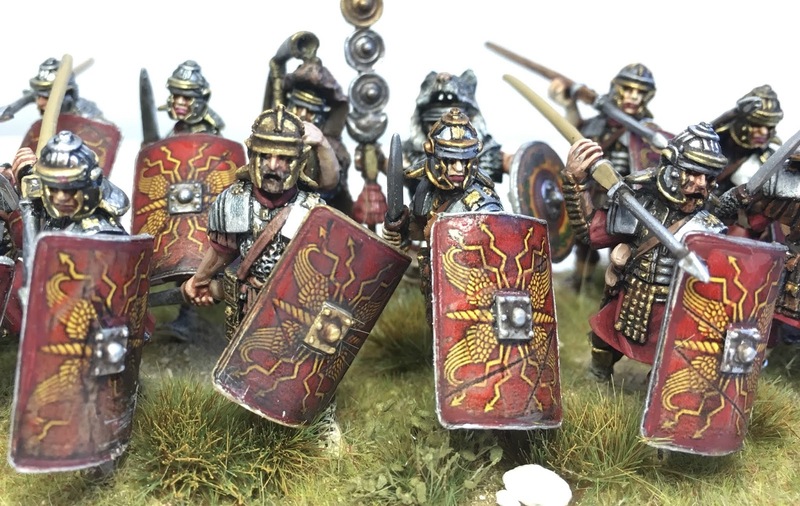 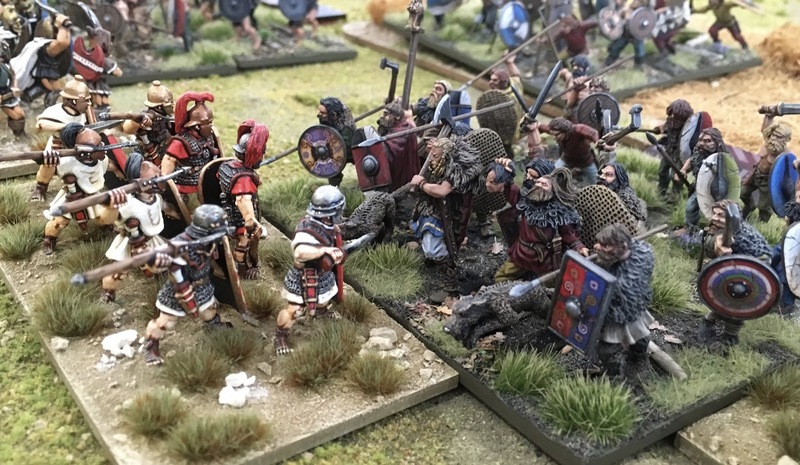 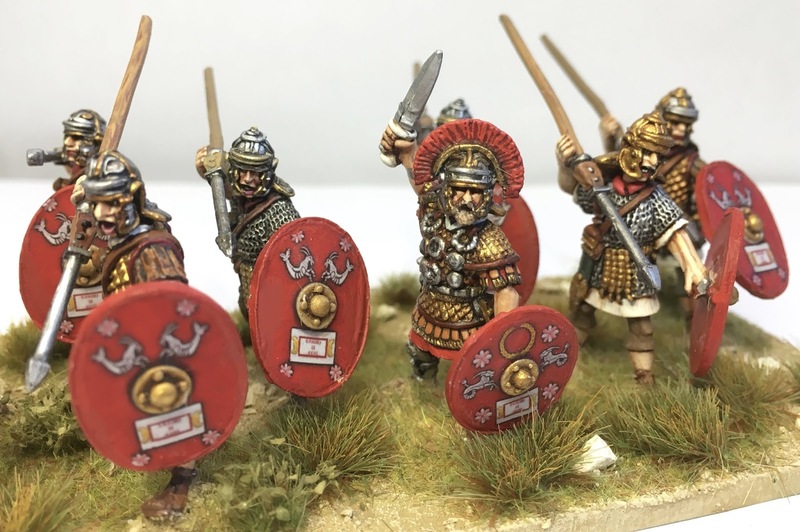 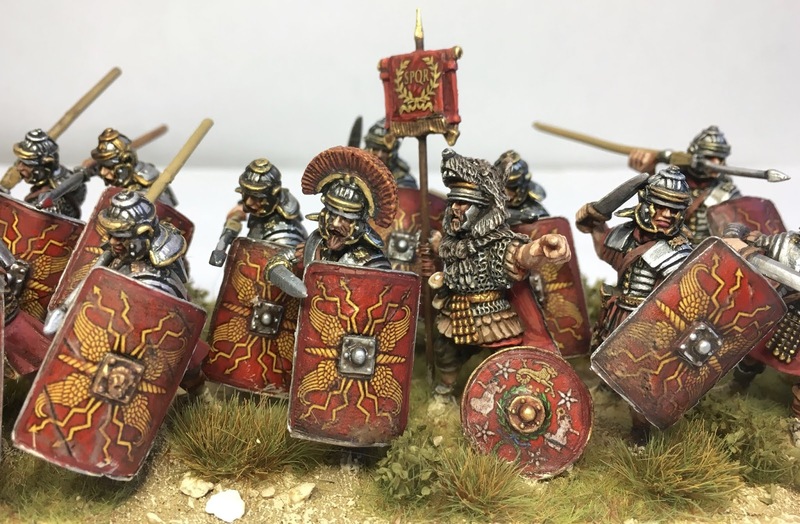 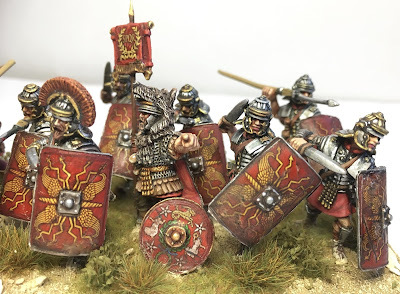 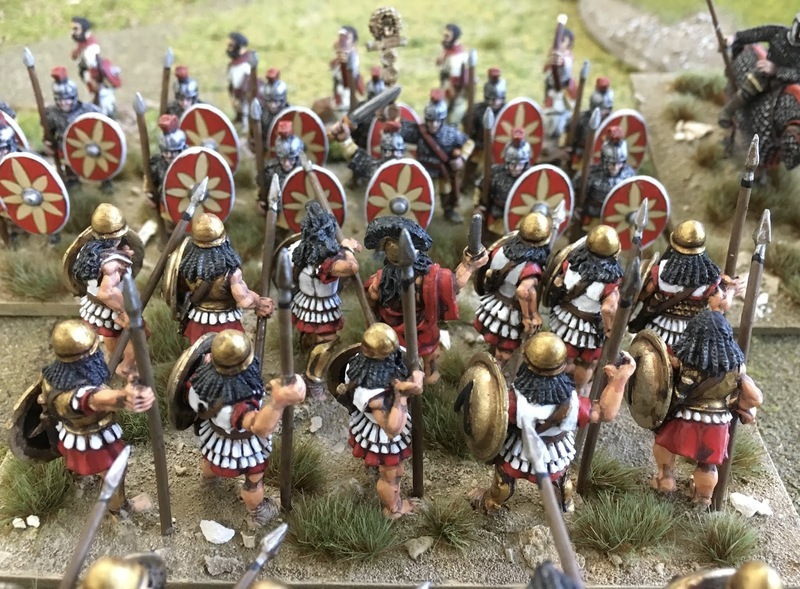 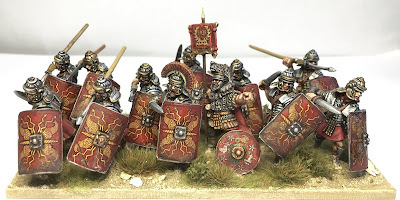 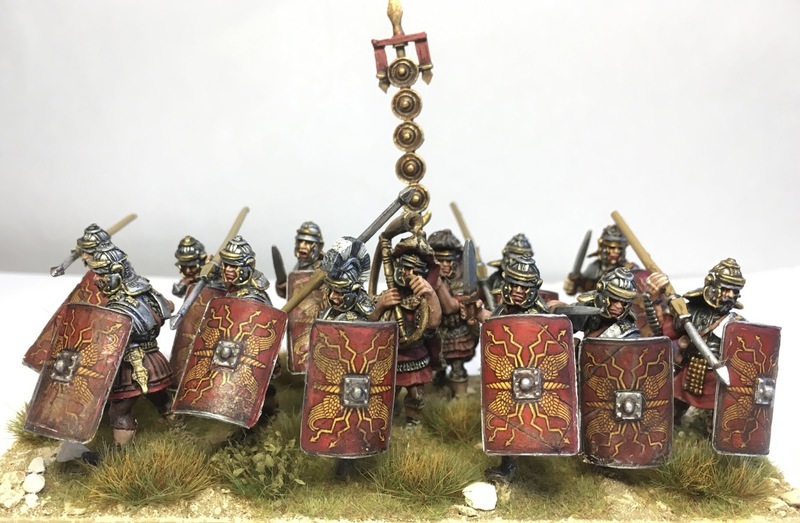 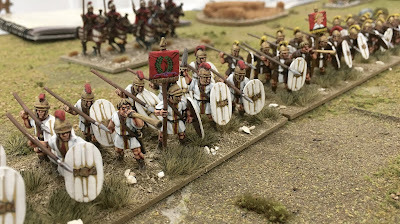 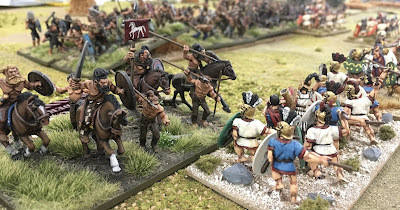 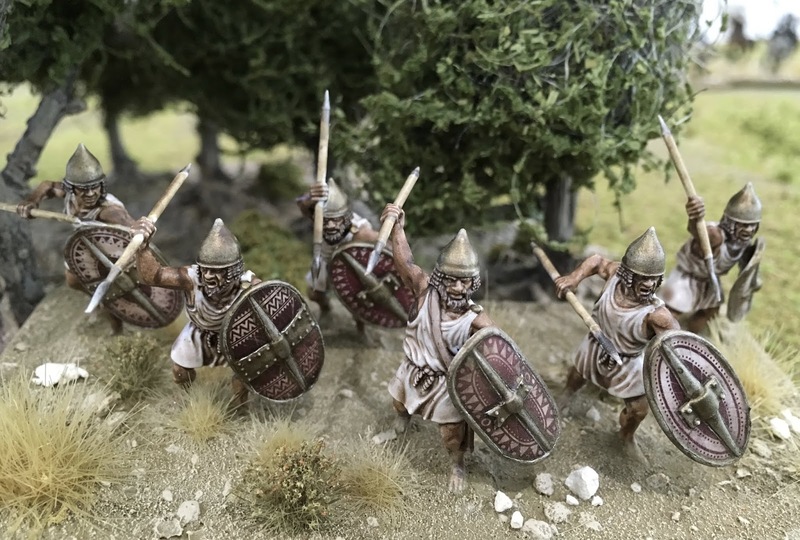 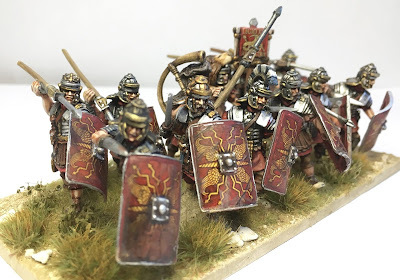 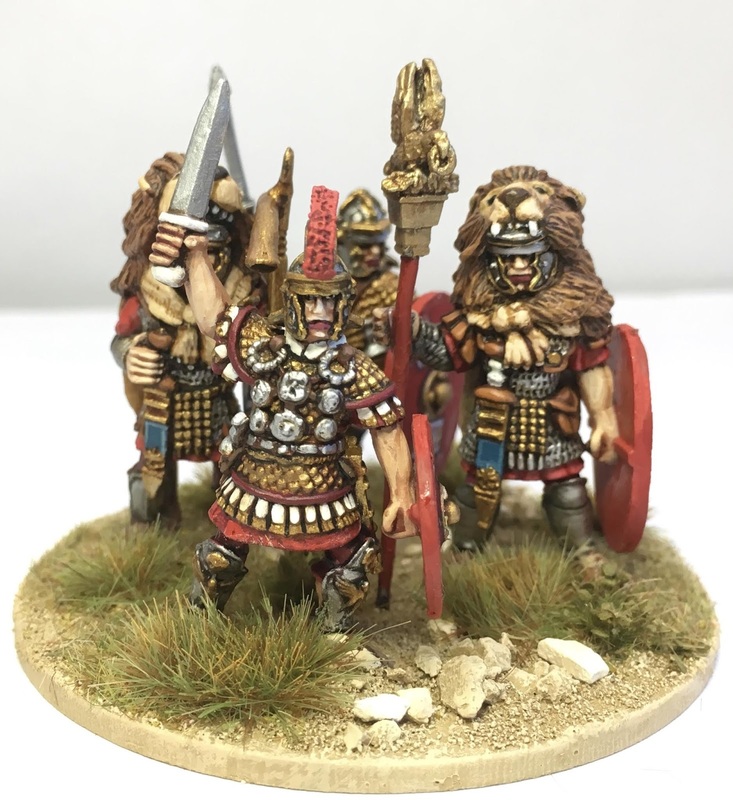 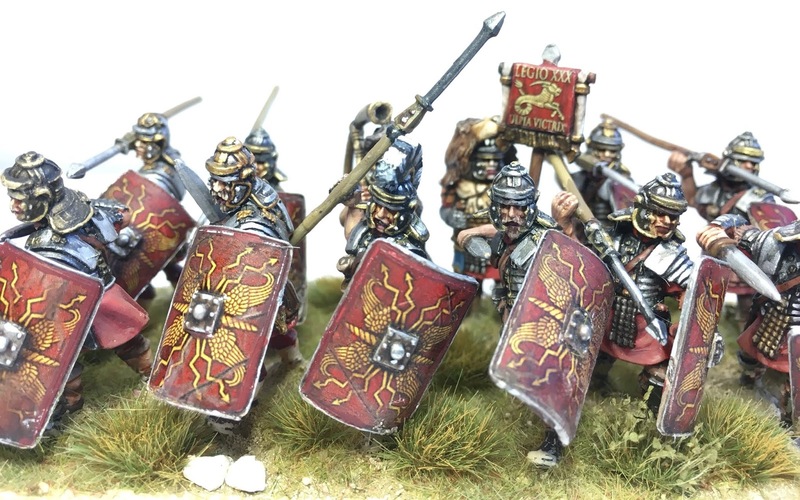 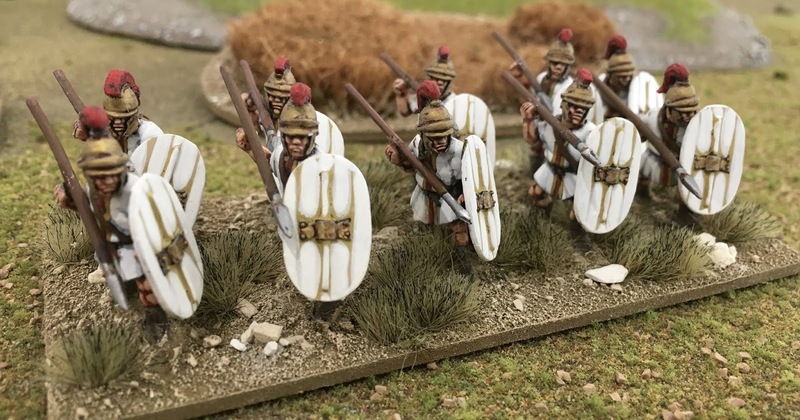 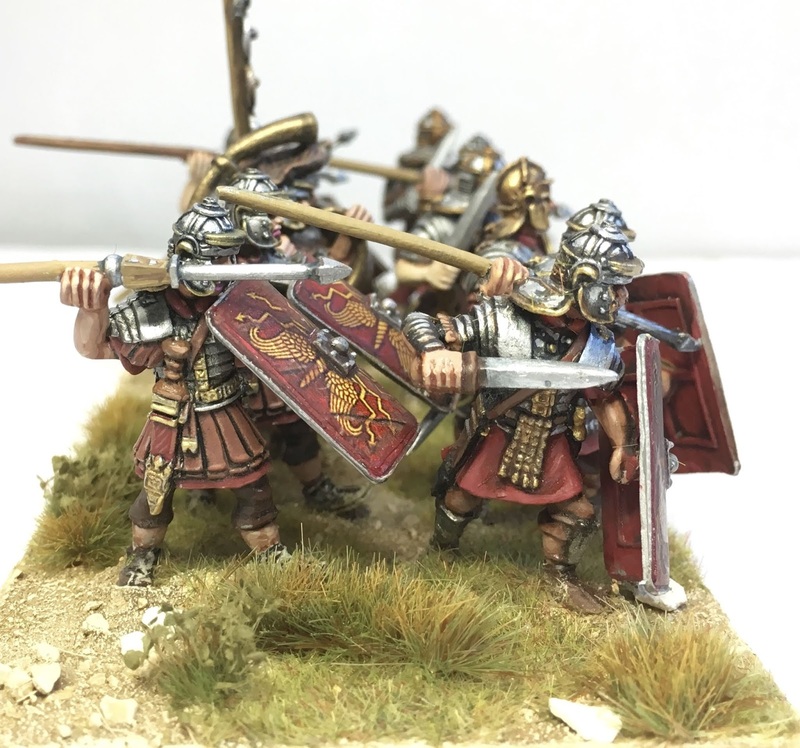 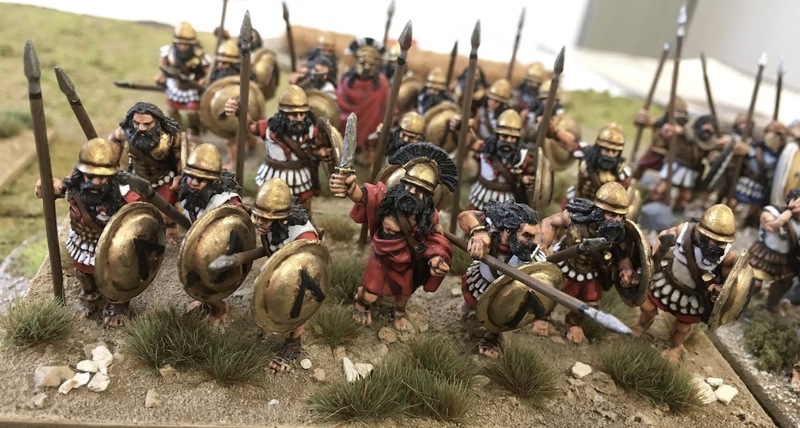 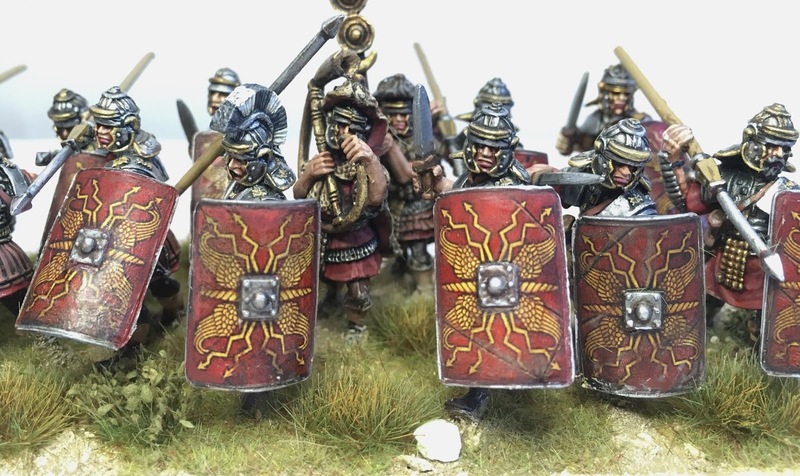 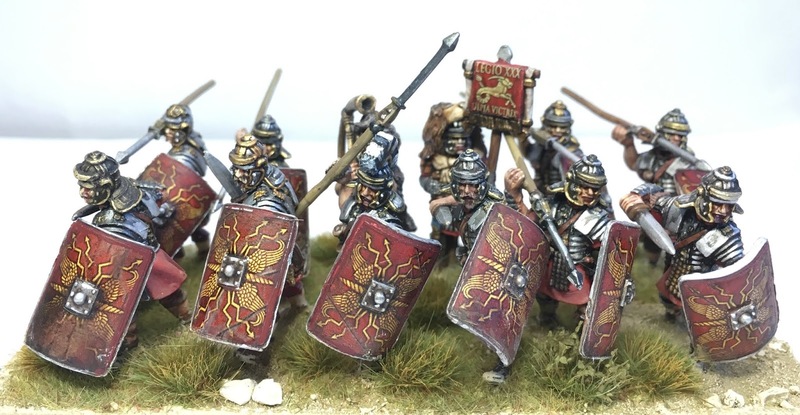 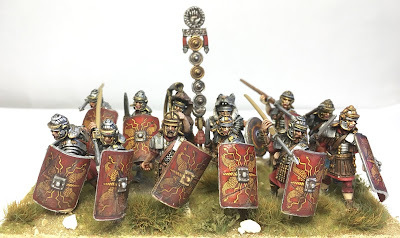 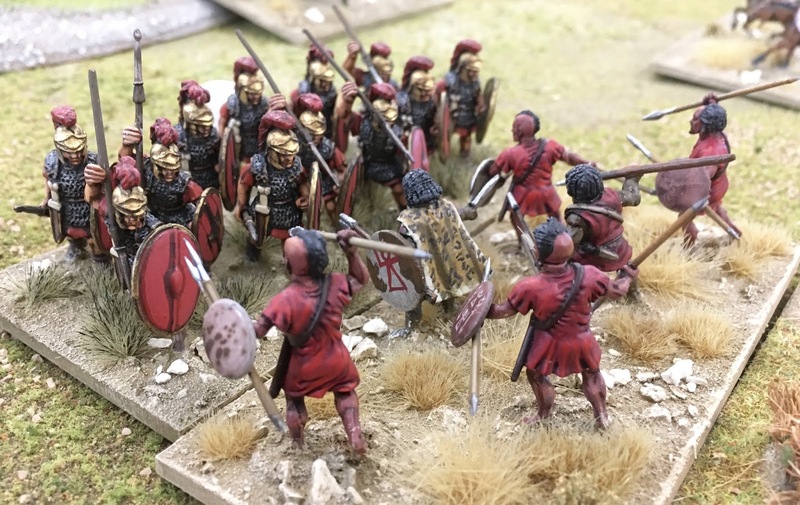 Some of the nicest 28mm ancient miniatures to hit our gaming tables are the beautifully sculptured Aventine Miniatures Ranges. 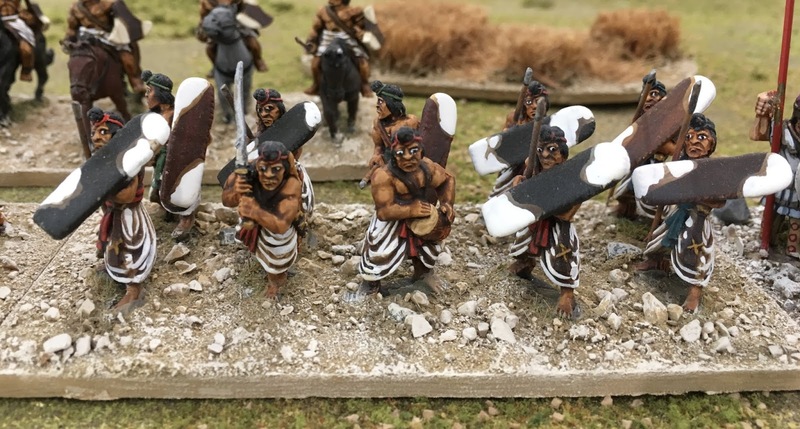 They are very well researched and designed, with some great character figures to give your units a realistic look. 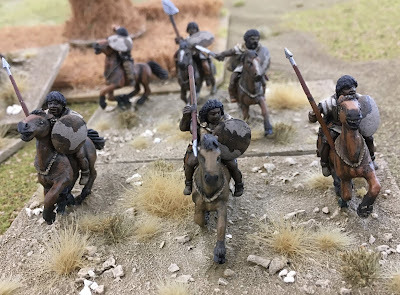 The EIR's are no exception, these lads, I believe, were once painted by David Imrie for Simon Miller and then more recently purchased by Mr John Maguire, here in North Queensland. I have since rebased them for Impetvs, which seems to be the gaming system of the North. 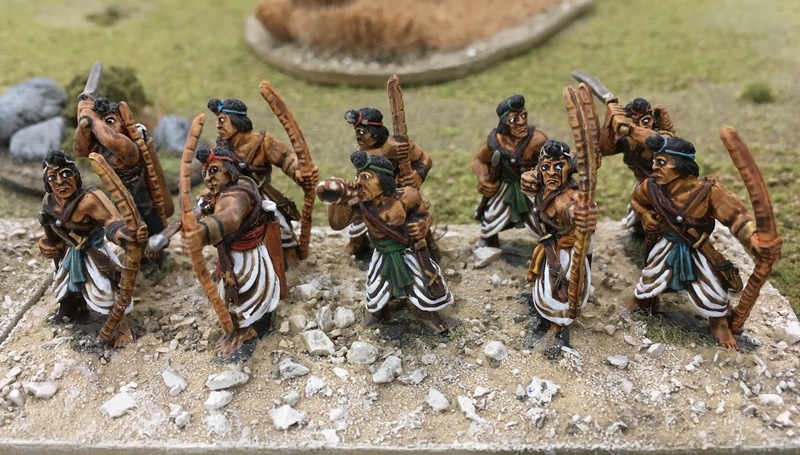 The figures are beautifully painted and in a style I can never hope to match. 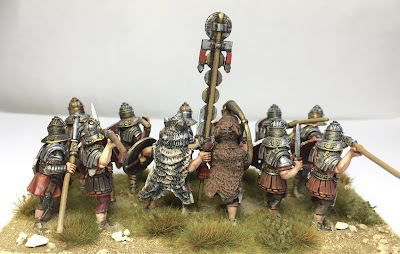 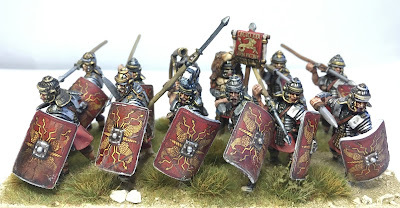 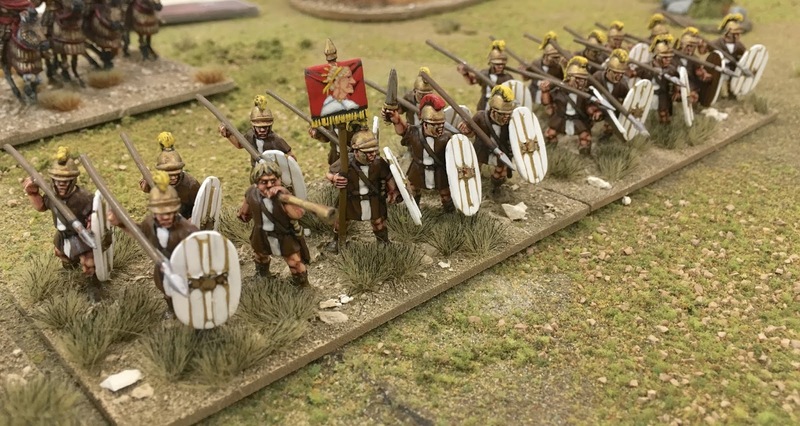 Four units of legionaries, two auxiliary units and a command complete the small army. 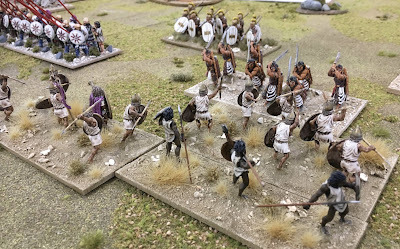 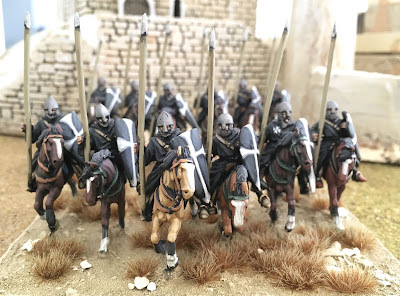 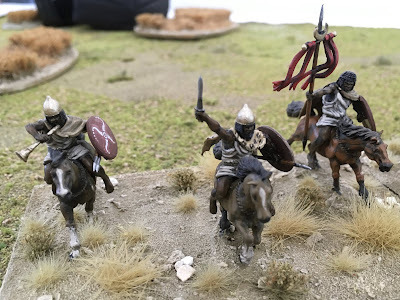 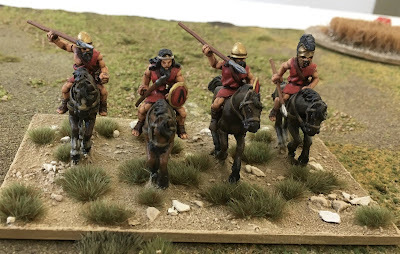 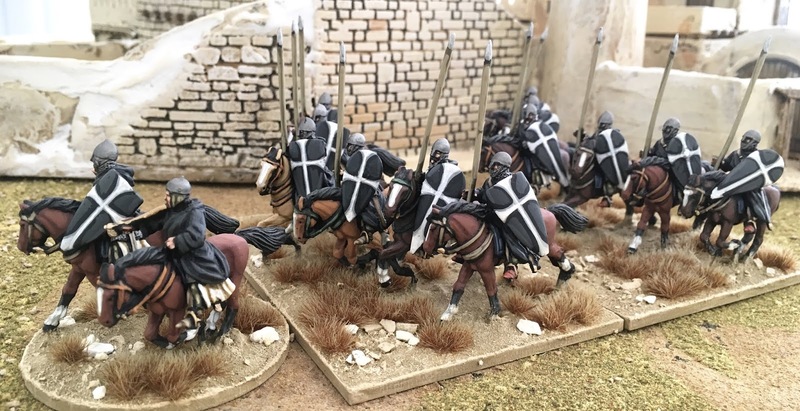 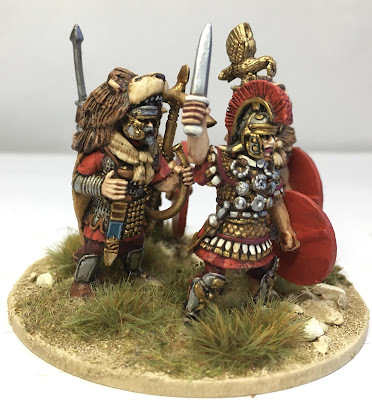 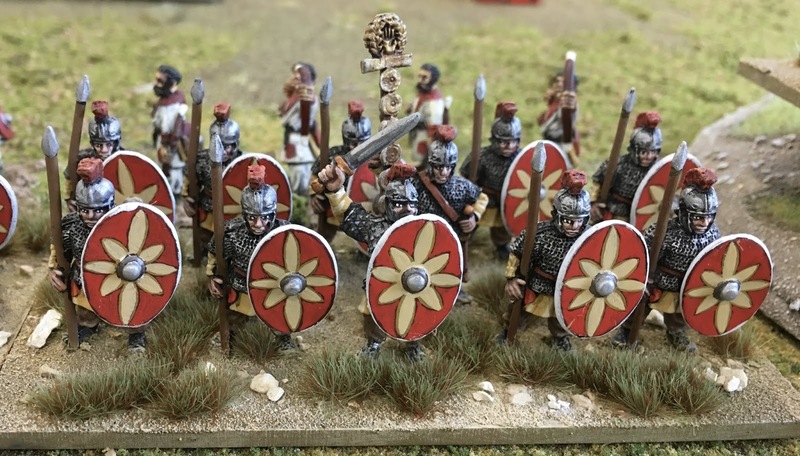 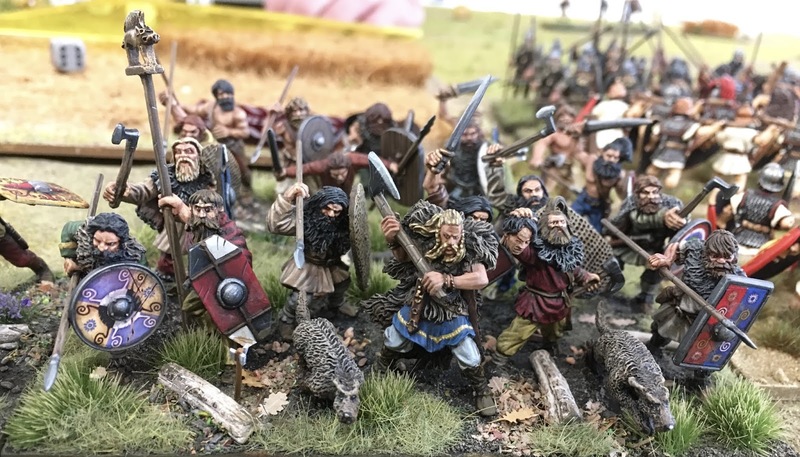 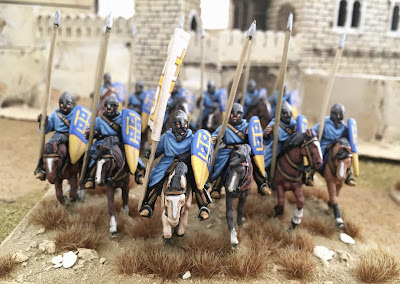 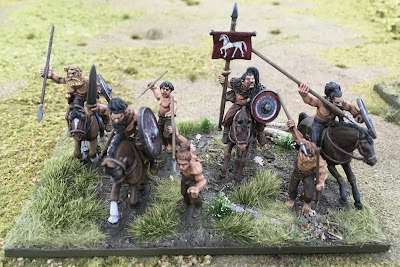 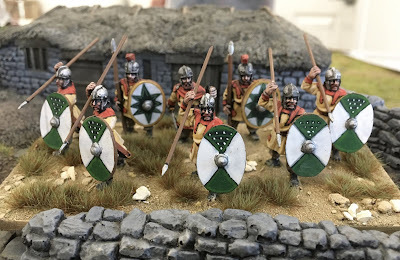 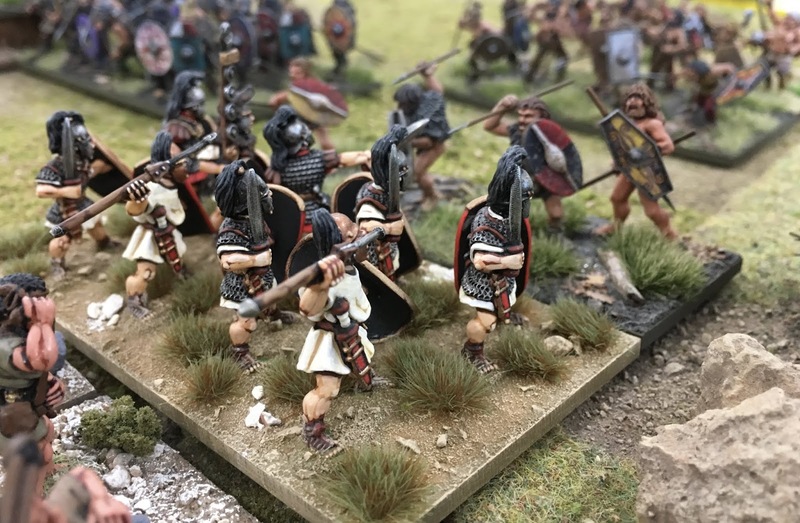 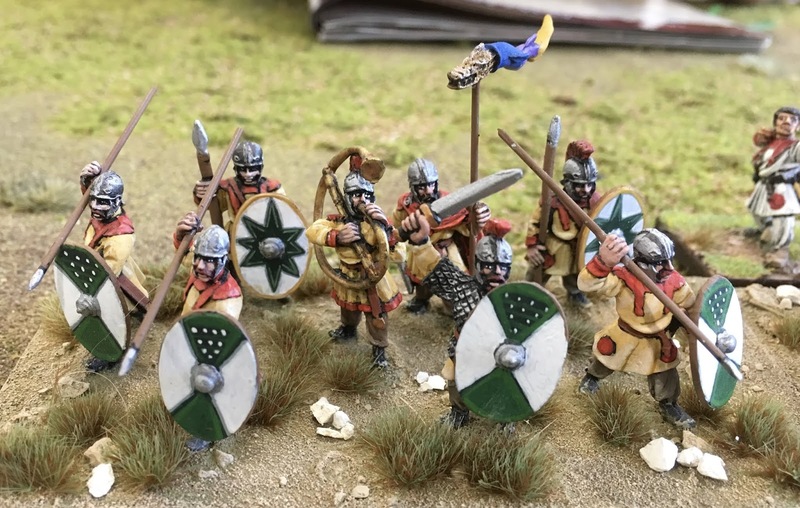 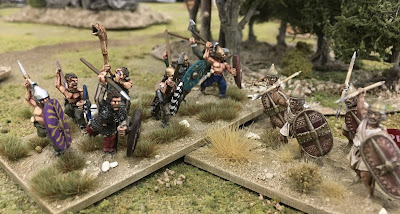 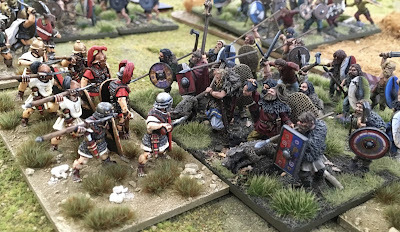 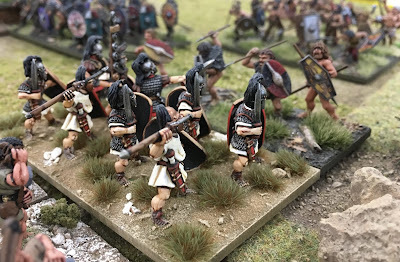 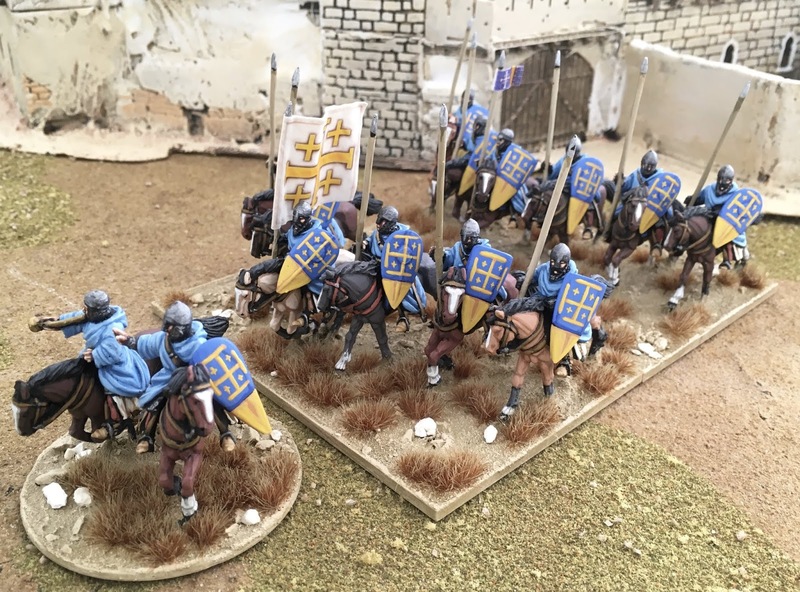 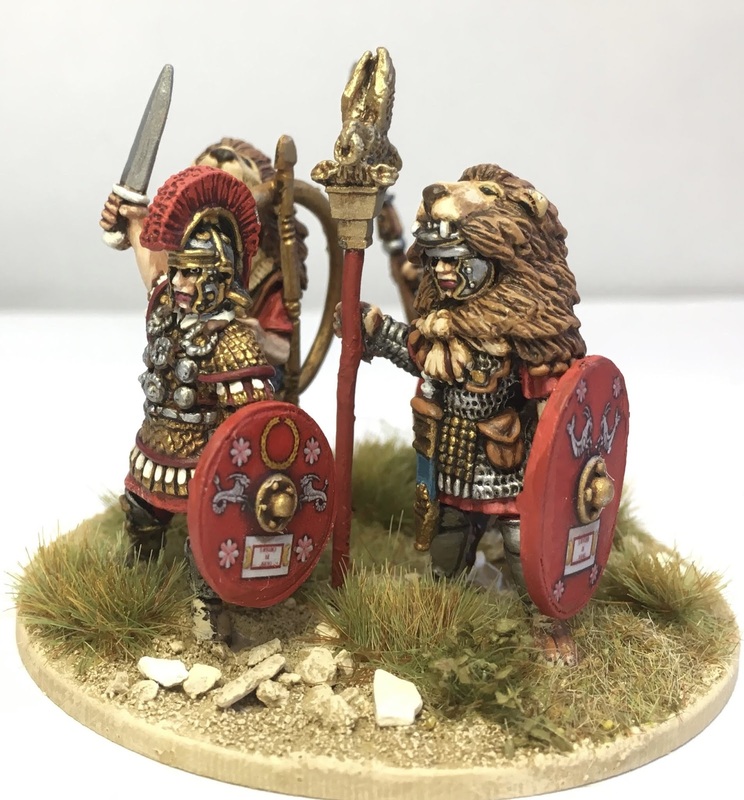 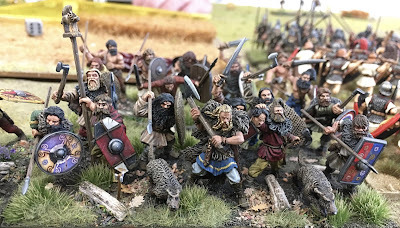 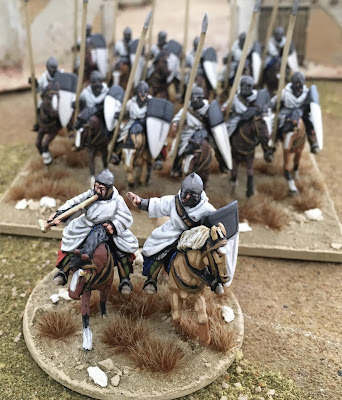 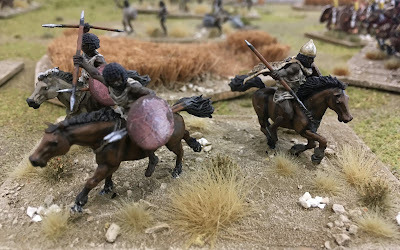 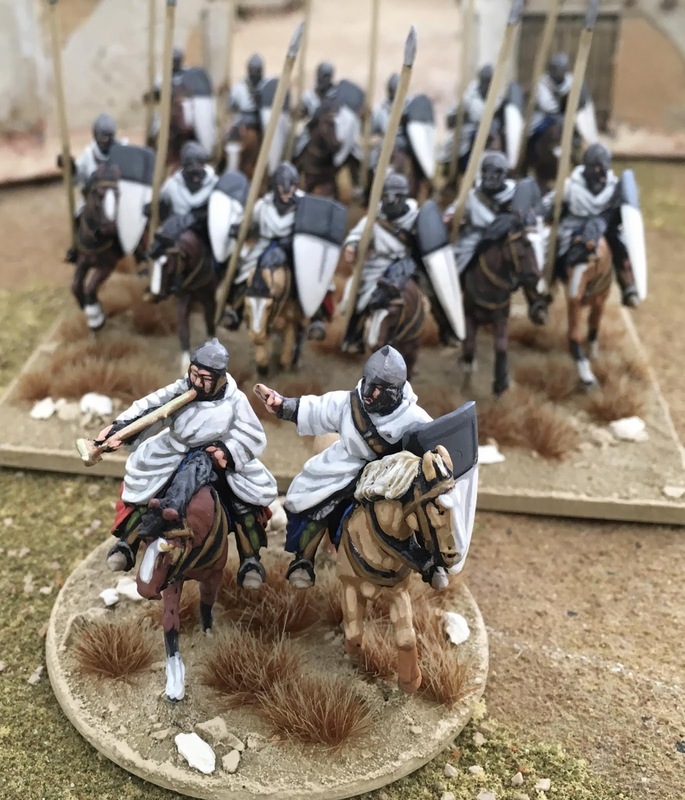 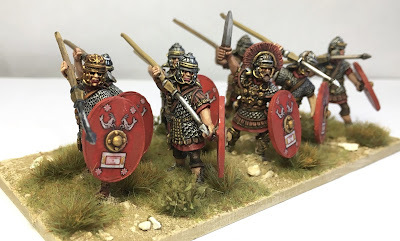 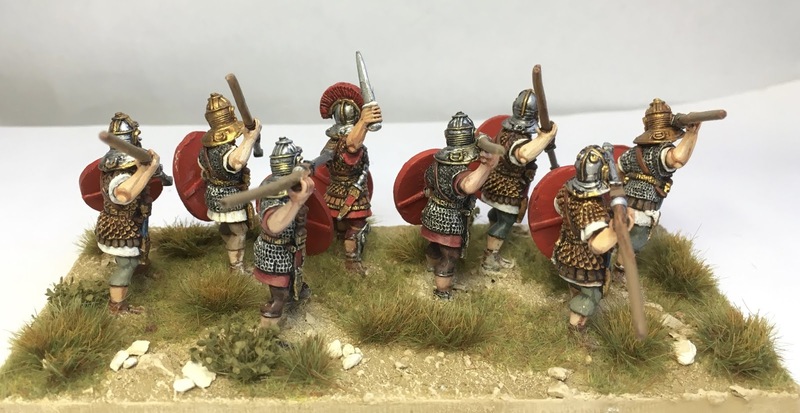 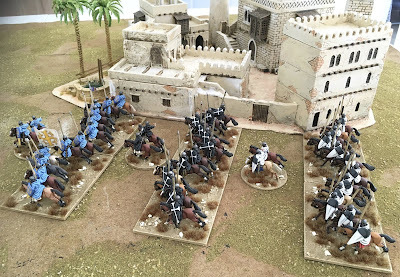 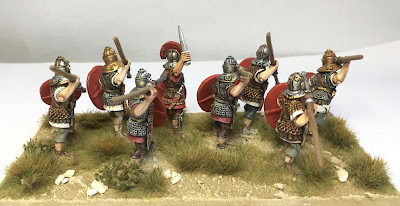 The Perry brothers produces some of the nicest figures, when you are in the market for 28mm figures, and the Crusades Range is no exception. 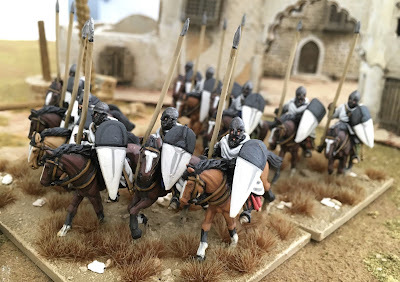 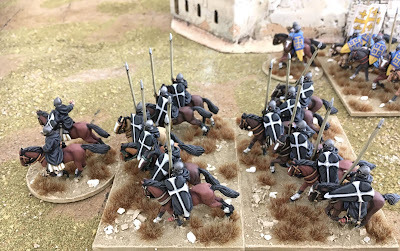 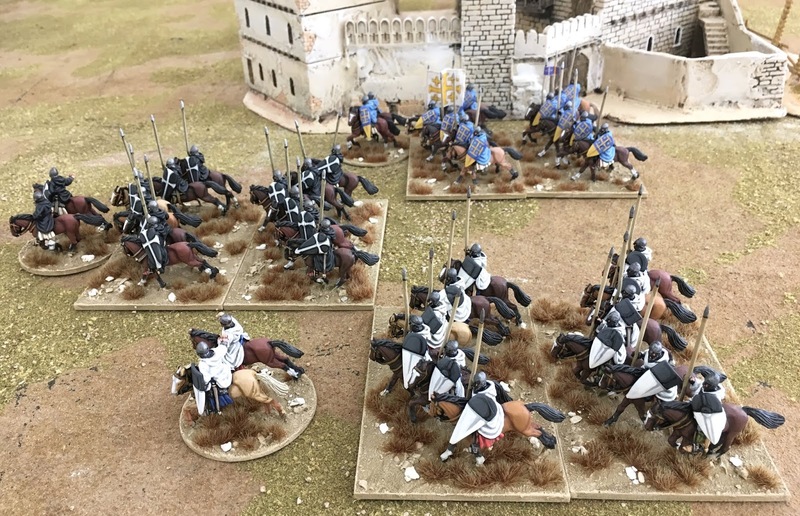 I have just finished rebasing six squadrons of mounted Crusader knights to defend the Kingdom of Heaven. 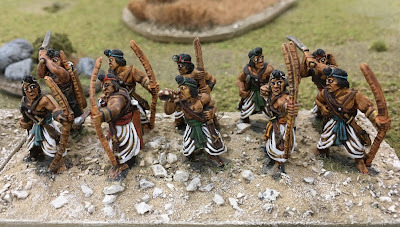 I am not sure who the painter is but he has done a very fine job on theses lads. The walled town in the back ground was scratch build by the veery talented Lev Vykopal from Perth in Western Australia. 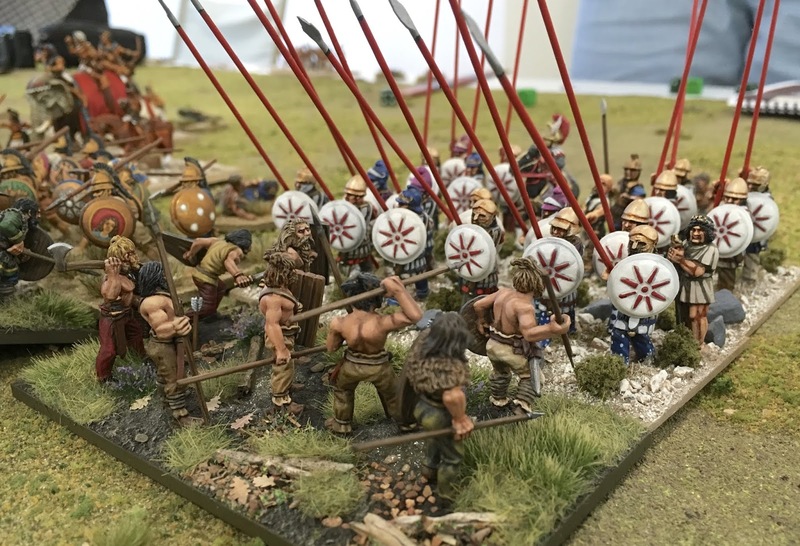 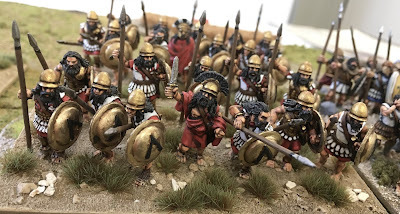 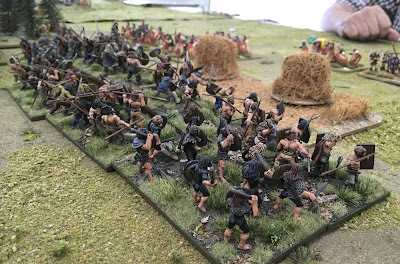 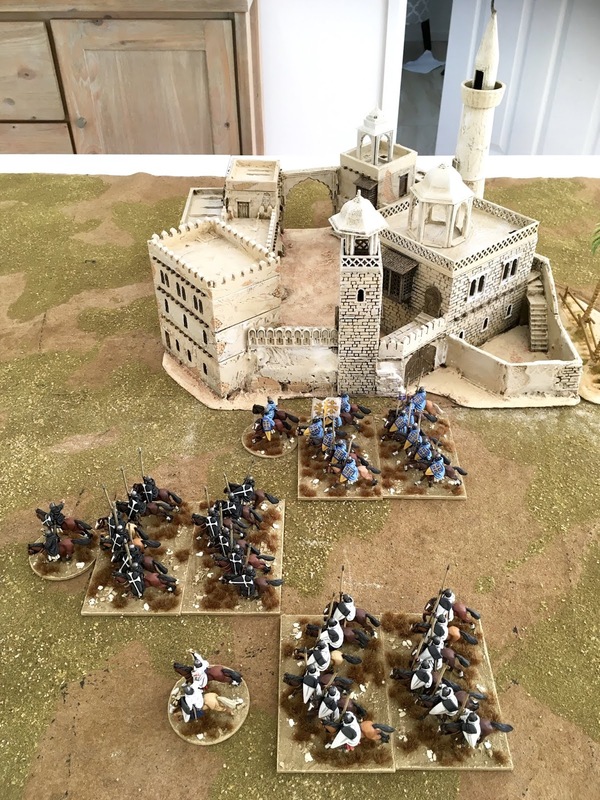 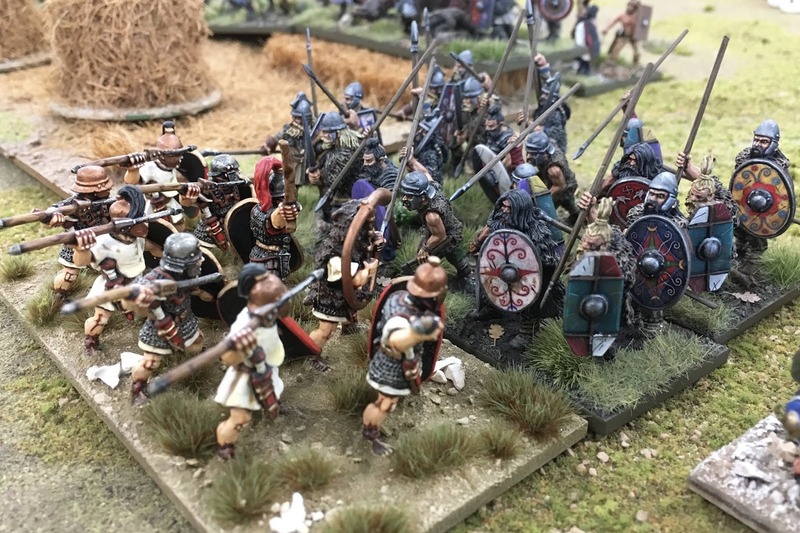 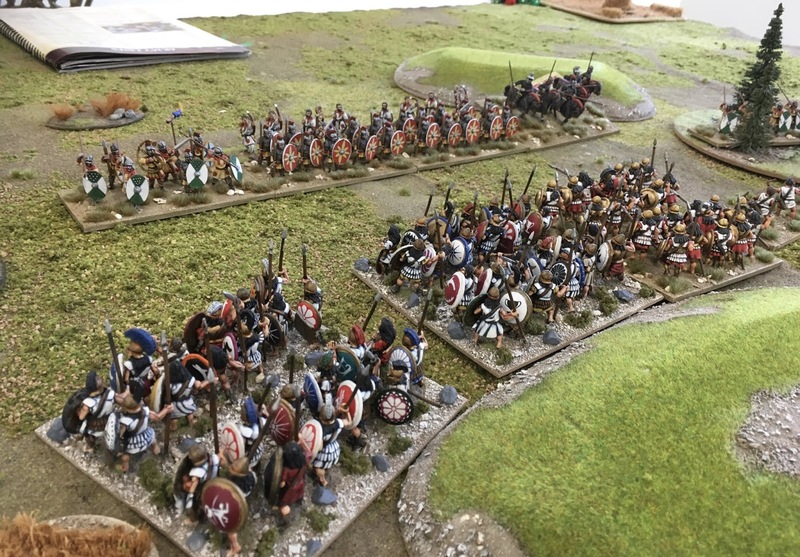 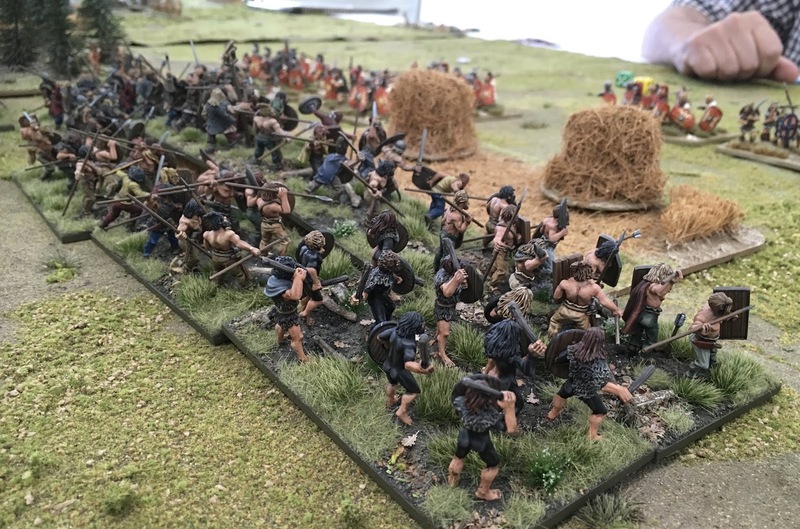 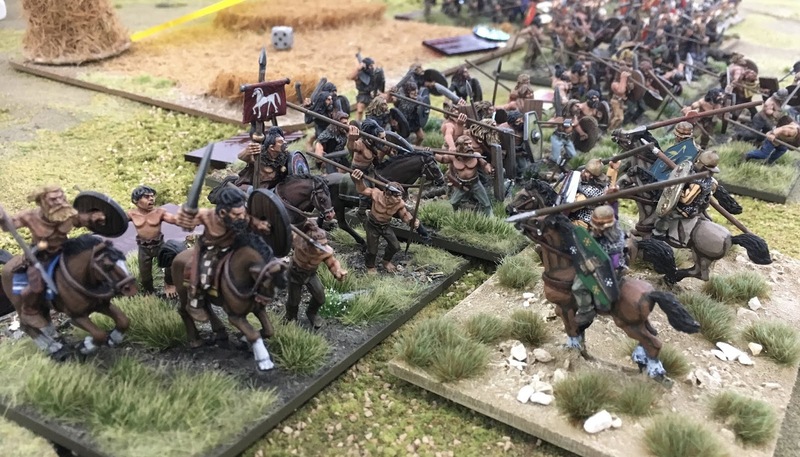 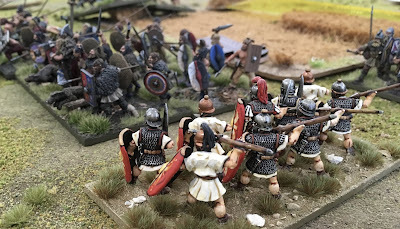 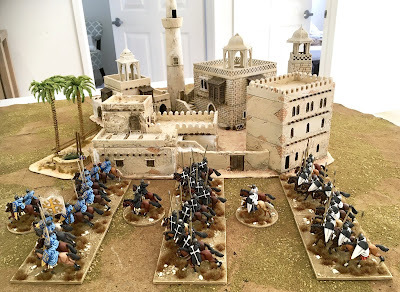 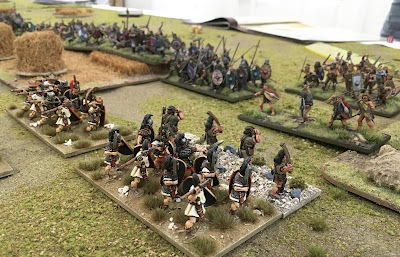 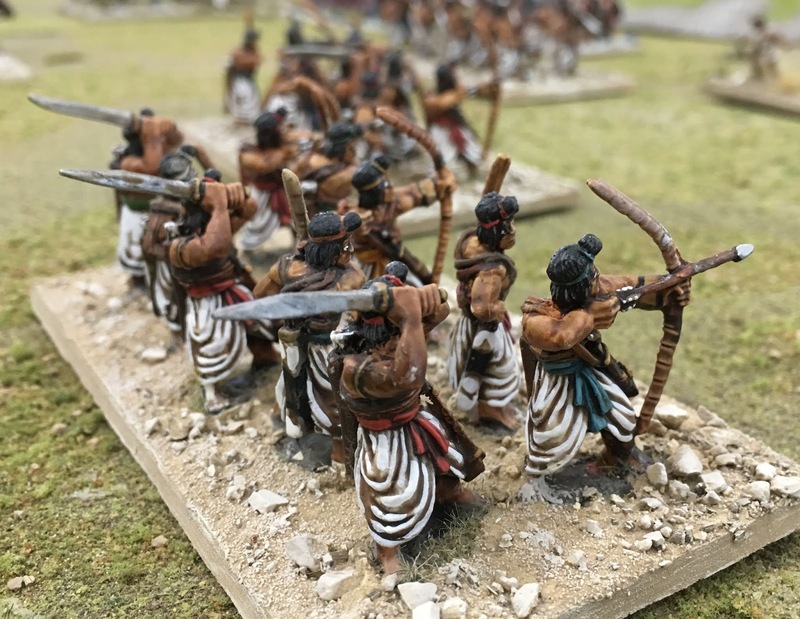 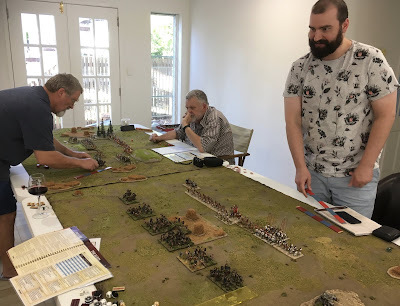 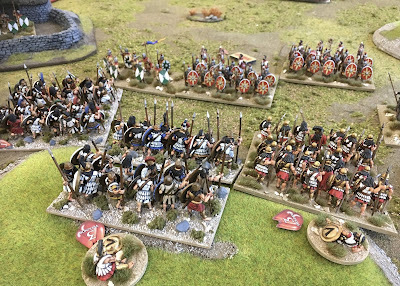 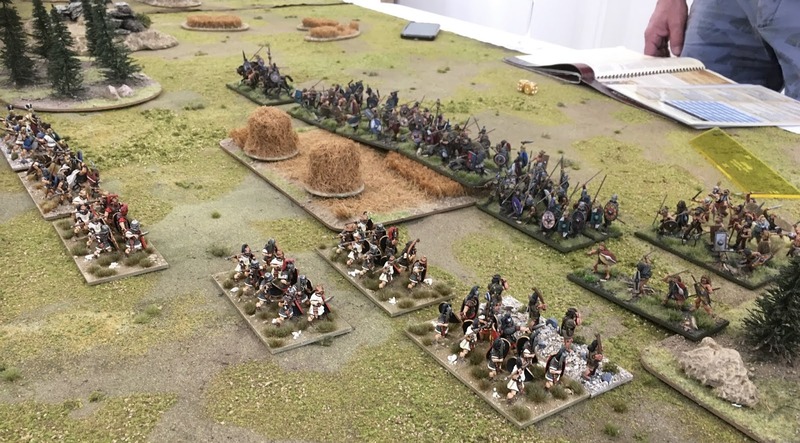 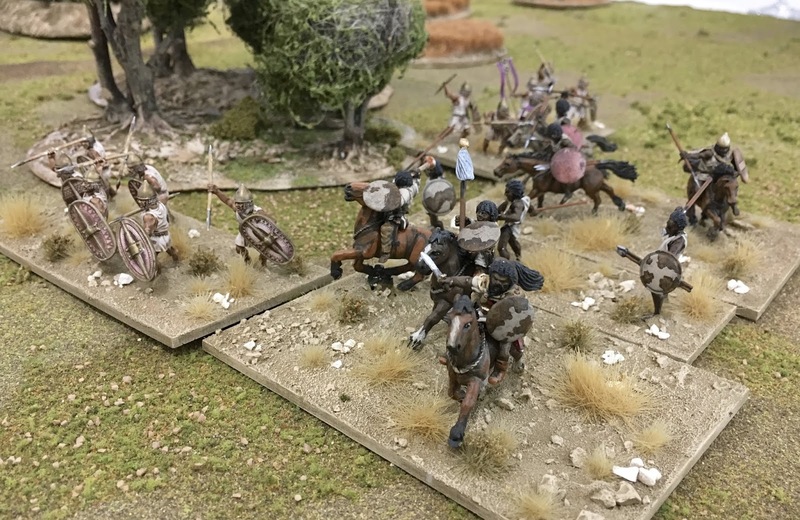 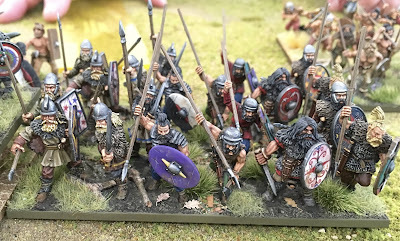 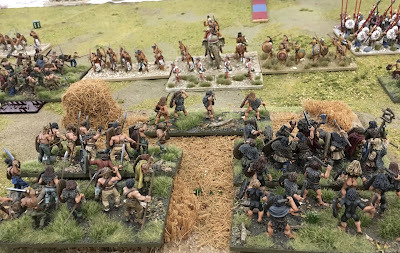 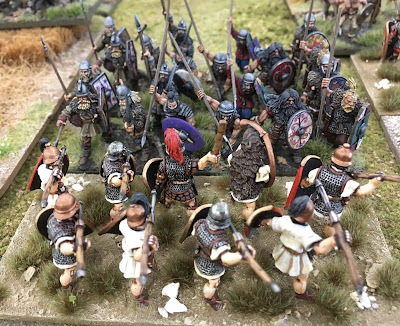 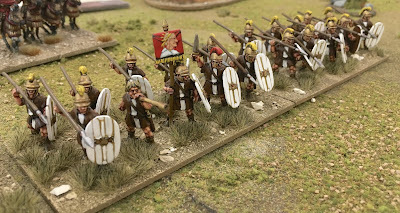 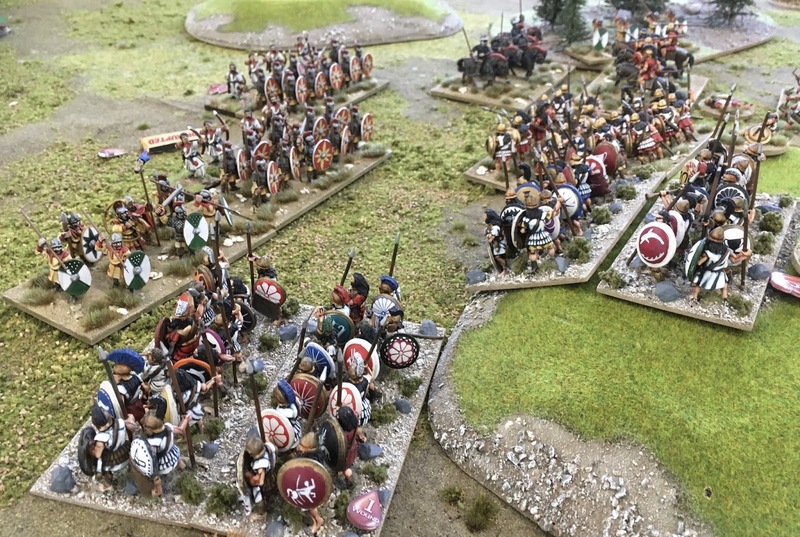 Over the last few weekends the lads from our club have been playing quite a few games of Basic Impetvs training their armies up for the upcoming Impetvs Competition planned for the May Day Long Weekend in two weeks time. 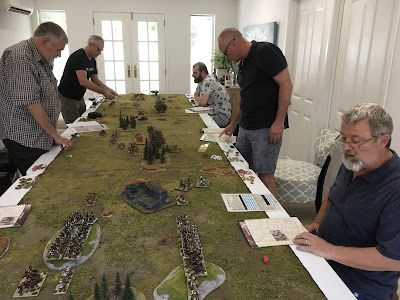 Last Sunday we had six players gaming over a period four hours of which we all played two games each, with the intent of picking the right army for the competition. It turned out to be a great afternoon with plenty of banter between players and loads of laughs. More gaming this weekend is now planned. 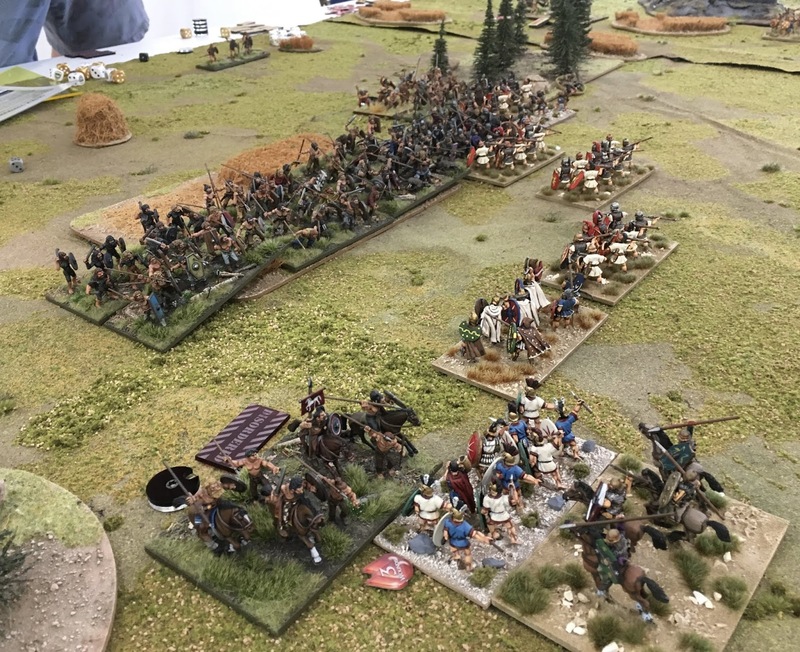 Please enjoy the images from the games.